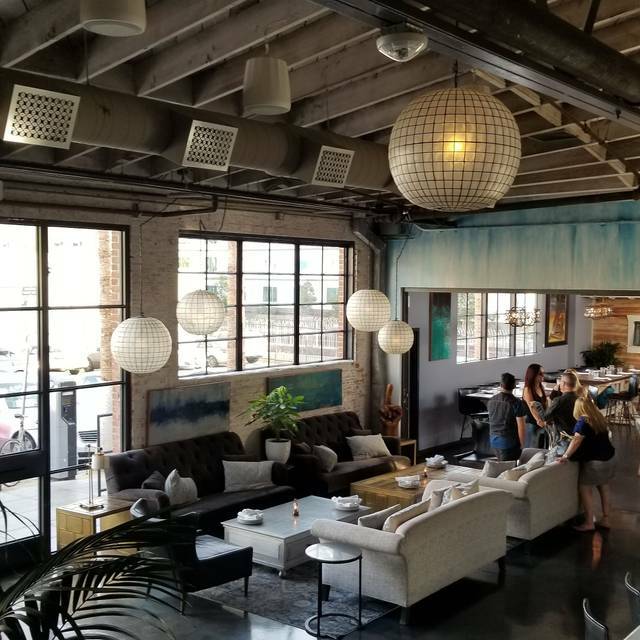 Herb & Wood is the latest concept brought to San Diego by celebrated chef Brian Malarkey. Chef Malarkey has created a “Secret Garden”-style dining escape that incites long dinners, conversation, and culinary delight. Our friendly and knowledgeable staff serve up delectable raw seafood dishes, house-made pastas, wood-fired pizzas and seasonal vegetables, along with the finest meats and fresh fish. 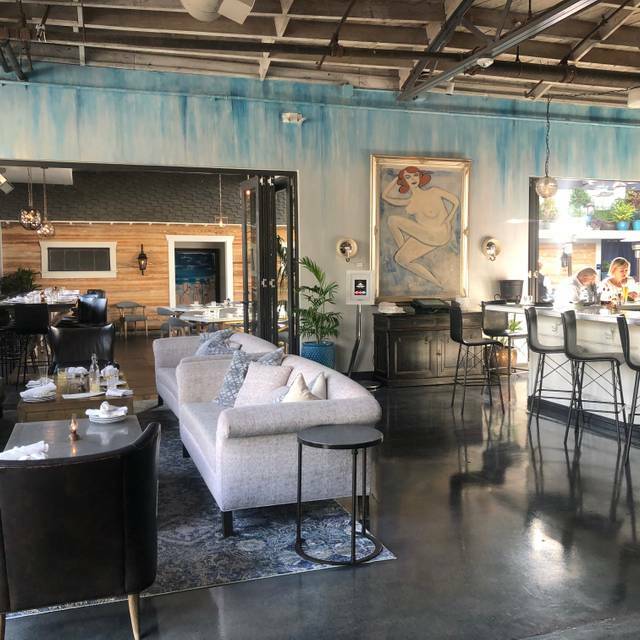 Seating is available both indoors and out, including plush booths, a garden patio, and an iron chefs table placed directly in front of the display kitchen. Herb & Wood can also accommodate your private party or event, with private dining rooms and event spaces available for groups up to 100. 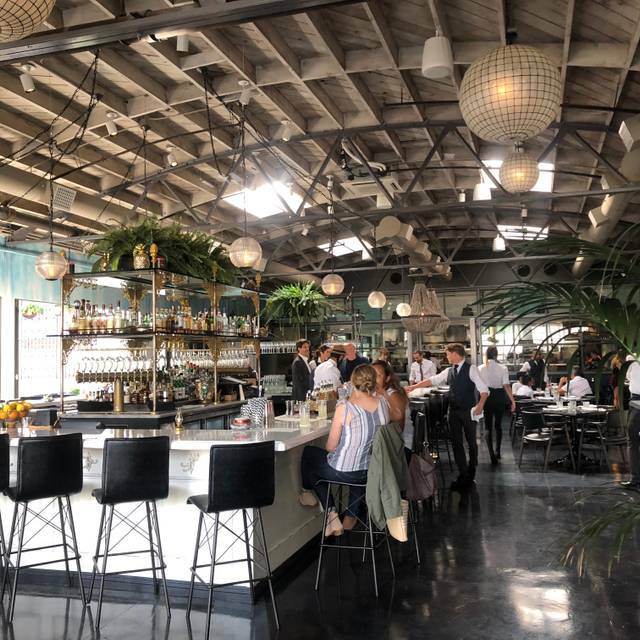 Located in North Little Italy, the fine-dining epicenter of America’s Finest City, come see why SD Magazine called Herb & Wood "one of the most stunning indoor-outdoor spaces in San Diego." Service was amazing. Wine recommendations were on point! The food was just fantastic and so was the service. In fact, I’m not sure I’ve ever had better service ever in a restaurant! Attentive, but not too attentive; great recs; friendly! She was just terrific! Easter Brunch - staff seemed overwhelmed . After delay in seating, long wait for a server . Came here for Easter Brunch. It was delicious! Food and service was incredible. Only negative is the size of their wine pours for the price. amazing food, service was great, varied menu and a fun place overall. Very loud so not for those who struggle with hearing. Wine is very $$, good but $22 a glass is a big ask. Nice place in little Italy. Quite high class and European vibe. The food is very good and the service initially excellent. We seemed to lose our server part way through the meal. The food is good, but not as great as las time. However, they forgot to add sun chokes to our sun choke salad, and we were still billed for it??? The food was expensive for what you received. I ordered a shrimp dish. My shrimp was not cooked all the way through. I did received my meal for free and they offered for me to order something else. I ordered a dessert soufflé, which again was not fully cooked. I think they’re are trying to be super hip and offer unique food options—maybe growing too fast without the right staff. I would not recommend it, nor will I go back. The one thing I did enjoy was my champagne cocktail with a flower floating on top! Always great food. Drink service a little slow. The service allowed us to have an engaging business dinner while distributing our meal without delay. The food was delicious and the drinks superb. Food was very good, but overpriced. Trying to get seated was nightmarish. Even having a reservation we were seated after walk-ins. The restaurant then notified Open Table that we didn’t snow up. Our server was just downright rude and it detracted from the entire event. Desserts, cocktails and “secret” rolls were highlights. The food was very tasty! Pricey but worth it for a special occasion! Our server Jayme was fantastic and very attentive! Drinks were awesome. Food delish. Thanks! We had the BEST time! We came for brunch and had the Dutch Baby, Pork Secreto, Chai Latte, and Hibiscus Mimosa. Everything was mind blowing and the service we received was second to none! We’ll definitely be back. Thank you Herb & Wood! Exceptional attention to service! Thank you for the special touches you provided for my wife’s birthday dinner. Attention to everyone’s comfort and enjoyment was a priority by the staff. Thanks to all! IT WAS AWESOME. STAFF WAS TOP SHELF AND THIS EXPERIENCE WAS THE SAME. Customer service is excellent! They set the standard. Food was great. Taste and quality of food is very good. What a great experience all around! The food was incredible, decadent, extremely flavorful, well executed, all around amazing. The owner at the end came and greeted our table. You could tell how passionate he was. Well done. Cool place, but given the noise and cost, I wouldn't go back. There are many other cool places in San Diego that are not charging this much for a meal, even downtown. We arrived at 8:10pm, checked in, & sat at the bar. We had asked if we could be seated soon, & the hostess told us the group on our table was finishing up. We were not seated until 9:15! O one came to us saying it was going to be this long NOR did they inform up we have 45 min to get settled, review the menu, order, receive food before the kitchen closed. Bless our waitress’s heart, she was in the job 3 days & did her best. We requested the manager who was snippy & announced they “opened the kitchen to make you an order of pasta” with no remorse, no apology...He blamed it on our request to be in the main room! Moreover, we received nasty looks & pointing at our table from the kitchen staff (For those who have not been to H & W, the entire kitchen is visible through industrial windows.) This was almost laughable. We will not be returning to this restaurant. If I were that manager, I would have done whatever it took to make sure we were satisfied. No consideration for our experience was given. If I were the owners of this restaurant, I would fire that manager. If they show you who they are, believe them! I would dine here every night if I could afford it. I love the carrots, yes the carrots. The venison was fantastic, and the hamachi... so delicious. We will be back. Service was top notch as well. Catie was the best! The whole experience was amazing. Will be back for sure. This place was fantastic. I'd been looking forward to trying chef Malarkey's food. And it was everything I could have hoped for. We went here for Sunday brunch. The atmosphere is great and the food was delicious. The kitchen was just reaaallllly slow in delivering out food. Also, it should be noted, that parking was hard to find. Other than those two snafus, though, it was a nice experience. The food melted in my mouth. Service was perfect. Zero complaints or concerns. Quick summary: Food was decent, service was HORRIBLE, design was good, ambience was meh. This was one of my only experiences ever where the service truly RUINED our dining experience. Our waitress struggled to realize our table was there. It got to the point where the manager(!!!!!) came over and gave us our water and took our order. You would think the waitress would realize that after her manager took our order, she should pay a little more attention to the table? Nope. We couldn't get a side, couldn't get our check, couldn't even pay. This was the loudest restaurant that I have ever been to. The food was good but as a couple sitting across a small table from each other we had to yell back and forth. Also it was cold, so though we we indoors we needed to ask for the heater to be turned on. 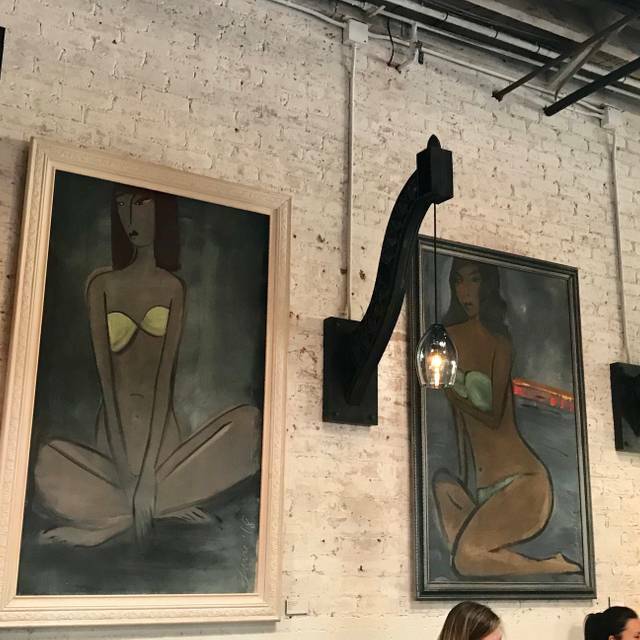 The decor of the restaurant is pretty hip. The little oil lamps used as a candle on each table look nice but give off a strong oil lamp odor which detracts from the enjoyment of the food. The bachlorette party next to us were having a great time. If you are looking to get your party on this is the place. Very nice place. Food value is poor. For the high price the food should be an A but it is C in taste. We loved the place and the food would have been fine at 1/2 the price or less. Celebrated a milestone birthday here! Loved the space and the food was equally impressive! Trendy spot with a cool atmosphere. I recommend doing small plates to share. They were better than the entrees. Get the carrots!!! They are amazing! The restaurant was less loud than last time we were there, which is a good thing. Over rated and disappointed that some dishes weren’t even good! To leave with a $350 bill and not be satisfied, even with dessert was truly dissappointing.